For use with TFX? 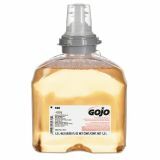 dispenser (sold separately as product GOJ274012). 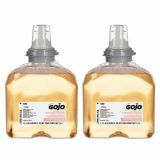 GOJO Premium Foam Antibacterial Hand Wash, Fresh Fruit Scent, 1200mL, 2/Carton - Antibacterial foam soap refill is designed for use with GOJO TFX Touch Free Dispensing System. 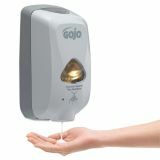 Kills germs on hands while providing a rich, luxurious lather. Gentle on hands. Contains vitamin E and aloe. 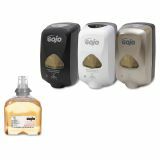 Foam soap provides a rich, thick lather with fresh fragrances and conditioners. Refill snaps securely into place with an audible click. 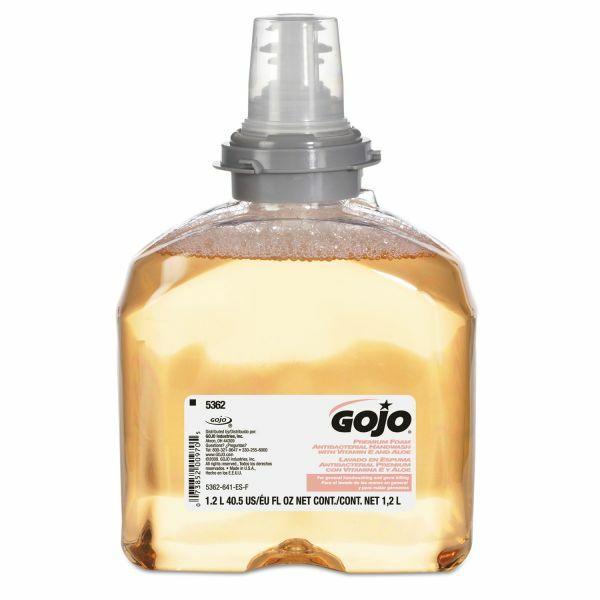 Sanitary-sealed, collapsible-bottle refill keeps germs out. Fresh dispensing valve comes with every refill. 1200 ml. refill contains approximately 2,000 handwashes. Fresh fruit fragrance. Translucent apricot color. For use with TFX™ Dispenser (sold separately).